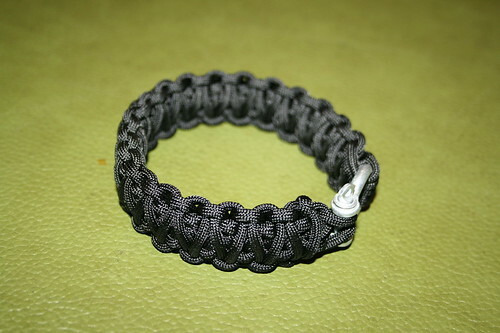 Quite some time ago I posted a link to instructions on how to make your own survival bracelet. 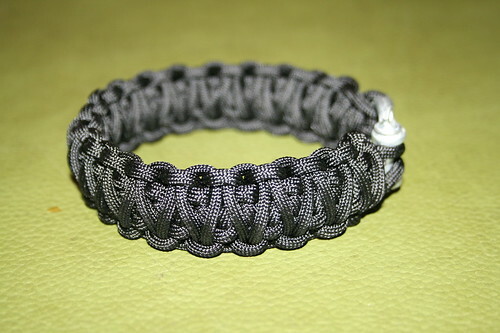 I also ordered some 550 lb paracord and fasteners so that I too could make my own survival bracelets. I did a little poking around and came across Stormdrane’s Blog, which is an AMAZING wealth of knowledge concerning knots, weaving paracord into awesome and useful objects, and other such information. I encourage you to go over there, and spend as much time as I did thinking “I want to make one of those, and one of those, and one of these too”. 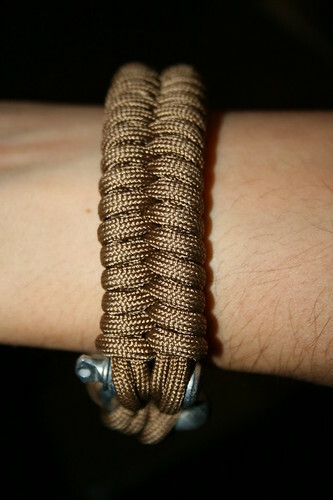 All in all, this was a very easy project and the bracelets turned out both attractive and practical. Michael never takes his off, and has been asked where he got it. I think I might have to start taking orders, heh. I’d also like to make a couple of lanyards that fasten to our backpacks, so that we always have plenty of cord on hand should we ever need it during outings. Maybe something like this. You should totally open an Etsy store and take orders!